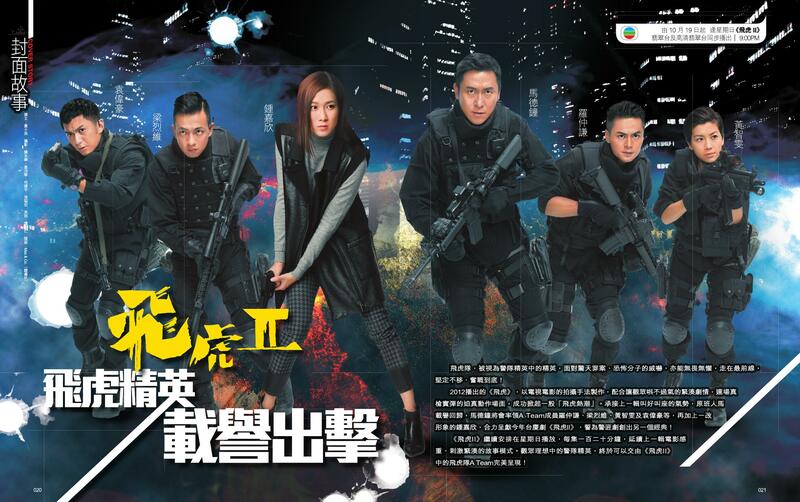 Synopsis:The Special Duties Unit (SDU), led by Joe Ma and consisting of team members Him Law, Oscar Leung and Mandy Wong, continue to work coherently together. Still, new challenges constantly come up, including having to adjust to the different working style of the new Chief Inspector (Timmy Hung). 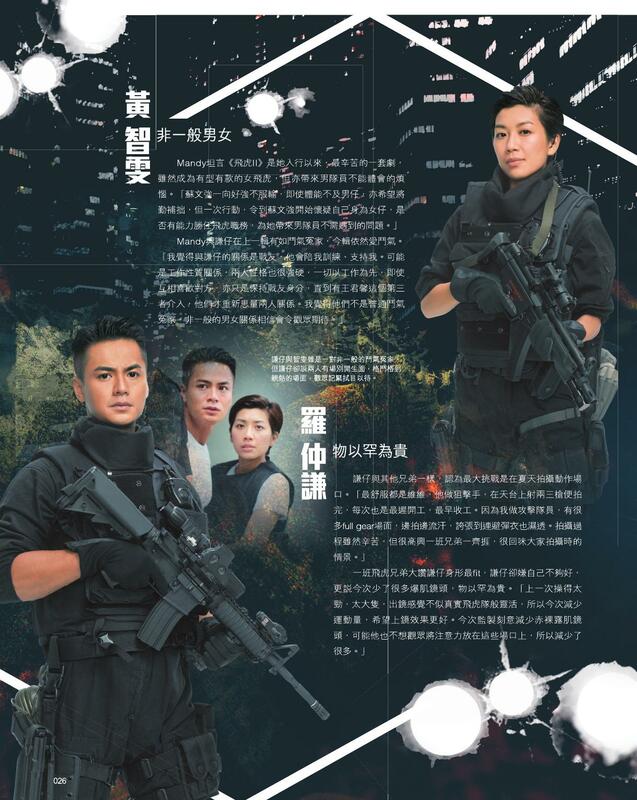 During one particular hostage rescue mission, Joe encounters Linda Chung, an undercover agent who is being chased by the triads. Her resourcefulness and bravery leaves a deep impression on Joe. He helps her return to the Criminal Intelligence Bureau (CIB) and they gradually develop romantic feelings. But Joe is uneasy about Linda's deceptive behaviour, as if she is hiding a secret. In addition, his leadership of the SDU is questioned when a team member is reprimanded after a failed mission. Seeing the growing internal strife, Joe decides to resign. Meanwhile, Linda resorts to any tactic to find the person who betrayed her as an undercover, including using intelligence reports which put the SDU team at risk. Faced with so many imminent threats, how will Joe and the SDU team work together to solve these problems? 29 Sep – After being shelved for nearly a year and facing issues from exceeding budget to delayed filming, "Tiger Cubs 2", the follow-up to 2012 hit TVB drama, has finally been given its premiere date. According to On CC News, the series "Tiger Cubs 2", which had completed filming in September last year, will begin its broadcast on 19 October - a month away from the upcoming TVB Anniversary Awards. Meanwhile, its stars, Joe Ma, Benjamin Yuen, and Oscar Leung recently reunited at the Kai Tak Cruise Terminal to film the promotional video under the scorching weather. Asked if it was a difficult task filming in the sun, Joe, who reprises his role as Senior Inspector Chin Hon To, stated that he still enjoyed the experience filming with the crew again, though added that the company should treat them well for what they had to go through. 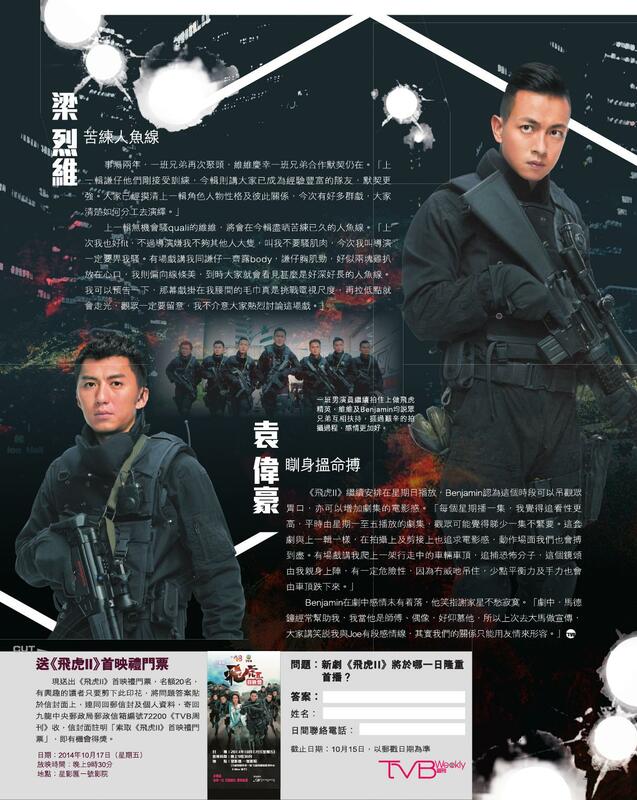 With a total of 20 episodes, "Tiger Cubs II" centres on a group of Hong Kong elite paramilitary officers from the Special Duties Unit of the Hong Kong Police Force and their work in counter-terrorism, hostage rescue, and crimes that are deemed too dangerous for regular police to handle. class="headline" style="font-size: 26px; margin: 0px 0px 10px; padding: 0px; line-height: 1.21em; font-family: arial, helvetica, clean, sans-serif; background-color: rgb(255, 255, 255);"Lam Chi Wah confident with "Tiger Cubs 2"
15 Oct – With the clash between the police and the Hong Kong students right through the Occupy Central protests, the major concern for TVB should be that the portrayal of righteous police in its new series, "Tiger Cubs 2", might rub some people the wrong way. However, producer Lam Chi Wah believed that the viewers are smart enough to enjoy the series without comparing it to what is currently happening in Hong Kong. 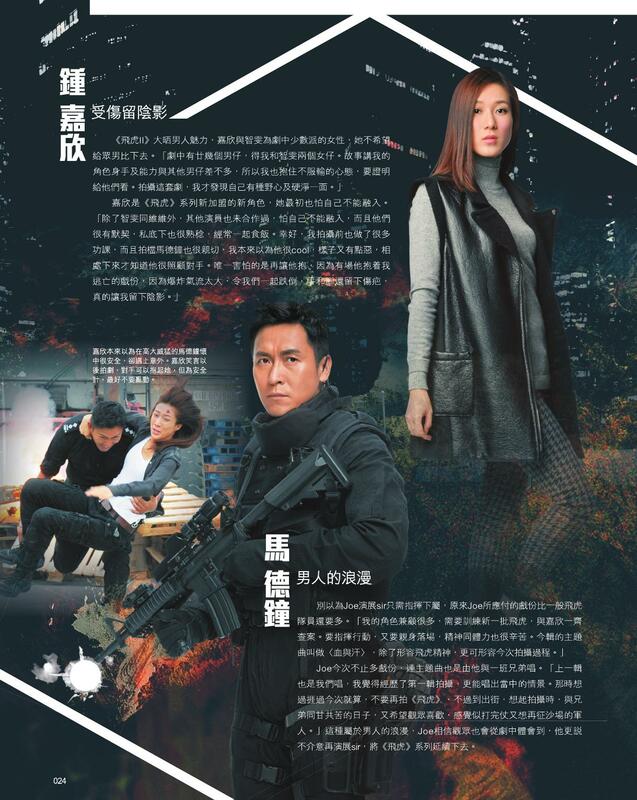 As reported on Mingpao News, Lam stated, "I don't think people will have some negative emotions watching the heavily armed characters in the series. Viewers are rational and will understand that the show is just for entertainment purposes." He continued, "The show is about the three-dimensional look [of the Hong Kong elite paramilitary officers from the Hong Kong Police Force], not a general showdown between good and evil. Both parties, the SDU members and the criminals, have descriptive backgrounds. It's not just an action series, but it also has a psychological side to the story. There are subplots about the friendship among the members as well." Asked if there would be scenes involving tear gas, a subject which has been considered sensitive to protesters after experiencing such occurrences last week, Lam said that "Tiger Cubs 2" has similar equipment, though it has a different ability to cause loud noise and blinding light that targets brief visual and auditory disturbance. However, it is only used against criminals. "Tiger Cubs 2 is made with blood, sweat, and tears of the cast and crew. I hope that the viewers will love it," he said. 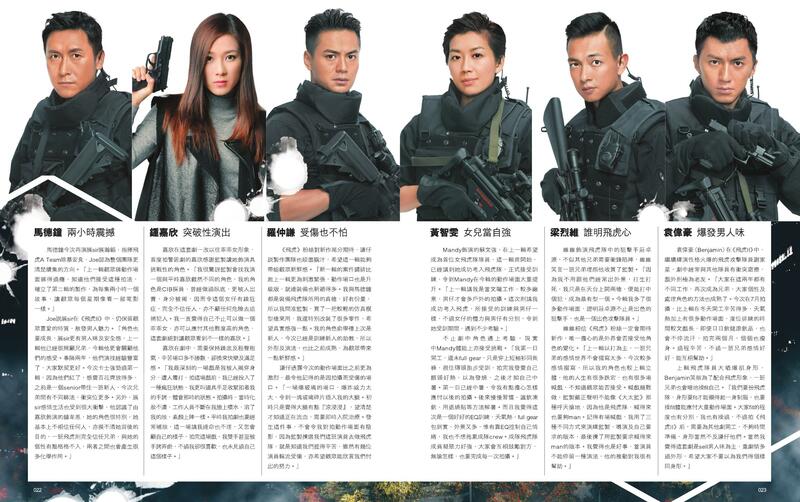 On another report on HK Channel, Lam revealed that Kenneth Ma will also be making a cameo in the star-studded drama. Related News: - The 2-hour finale of "All That is Bitter is Sweet" averaged 26 PTS, and peaked at 29 PTS. The average ratings for the overall series is 24 PTS. *NOTE: Episodes of the Mon-Fri dramas were not aired on Wednesday due to the TVB Anniversary Gala. **Wong Cho Lam's proposal peaked at 26 PTS, Ram Tsang and Rita Carpio's duet peaked at 27 PTS and Chris Lai winning the grand prize peaked at 28 PTS. Complaints:- The Telecommunications Bureau received 10 complaints regarding the TVB Anniversary Gala. People complained that personal matters have nothing to do with the audience (such as the proposal and winning prizes), the clothes are too revealing, the show is boring and pointless, frivolous intentions, makes people uncomfortable. - There were speculations that the card Chris Lai picked out is actually '9889' turned around and not 6886. When he entered 6886, the password still worked. Tsang Sing Ming denied the accusations of fake results as there are accountants there to supervise. Artiste, Nancy Wu (胡定欣), attended the promotion campaign for the series, Tiger Cubs II (飛虎II), and said: "Finally, it is my turn and I have many fighting scenes with Linda Chung (鍾嘉欣). It is very violent and I dare not really fight, as afraid of hurting her." Nancy continued to say: "I act with Joe Ma (馬德鐘) again after the series, Triumph in the Skies (衝上雲霄). Although it has been 12 years since we act together, but the brotherly feeling remains. But, I am his foe this round and hope we can act as siblings next time. (He signs contact with the Mainland China company and asks him to give you some good deals?) Let's see if he can offer me any good deals. In fact, he develops his career in Mainland China and will return to film series in TVB." Two days ago, Joe Ma (馬德鐘), Nancy Wu (胡定欣), Grace Wong (王君馨), Oscar Leung (梁烈唯) and Johnson Lee (李思捷) and the others ate dinner together and watched the Finale of the TVB series, Tiger Cubs II (飛虎II) in Sai Kung (西貢). Joe Ma was asked if he had any expectations for the Finale ratings, he said: "Should have at least 30 pts. The series has high ratings in Mainland China and it can reach up to 800 million. The response is very good and people keep asking me about the story when I am working in Mainland China." As ATV had not solved their salary problem and the poor script writing skills, most of the programme got 1, 2 pts rating only. However, most people watched the programme, News at 6.30pm (六點鐘新聞), and average rating was at 3 pts (Approximately 190,000 Audiences) last week. On Sunday, the rating was at 4 pts (Approximately 250,000 Audiences). 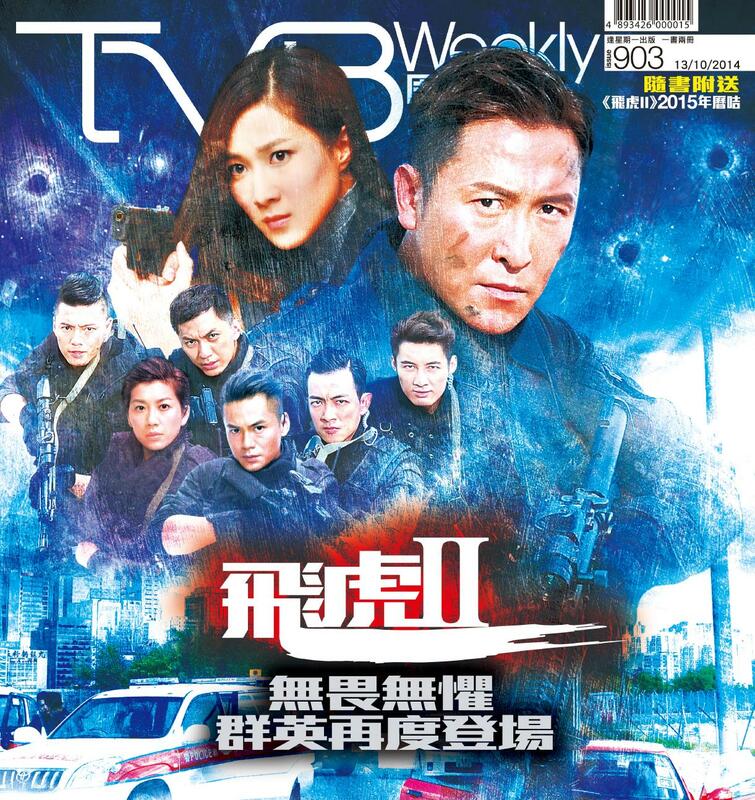 3 TVB series remained the same. The average ratings for sitcom, Come Home Love (愛回家), was at 22 pts (Approximately 1.42 millions Audiences) while the average ratings for the series, Noblesse Oblige (宦海奇官) and Officer Geomancer (八卦神探), were at 24 pts (Approximately 1.55 millions Audiences). On Saturday night, the average ratings for Yan Chai Charity Show (慈善星輝仁濟夜), was at 16 pts (Approximately 1.03 millions Audiences) and compared to last year, the highest rating was at 19 pts which was rose by 2 pts. On Sunday, the response for finale of the series Tiger Cubs II (飛虎II) was normal and average rating was at 22 pts (Approximately 1.42 millions Audiences), and dropped by 5 pts.